Caradoc Sands is one of the finest golf courses and wedding reception venues in the area. As a member of the club and a preferred vendor I have nothing but positive things to say about Caradoc Sands. From the beautiful, newly renovated course amenities down to the management and staff, Caradoc Sands is the perfect place for any occasion. The Golf Course: A stunning 18 holes, par 70, golf course located in Strathroy, Ontario. Caradoc Sands offers a full service pro shop, driving range, putting greens, and power carts are available. The Clubhouse: The newly renovated Caradoc Sands clubhouse is home to a dinning area, patio, and lounge which can accommodate up to 200 guests- the perfect amount of space for any golf tournament, corporate function, baby shower, or wedding reception, etc. Food: Whether you are looking for a lunch item or a 5-course meal for your wedding or tournament, Caradoc Sands’ head chef and kitchen staff prepare the most incredible tasting food for any size event. 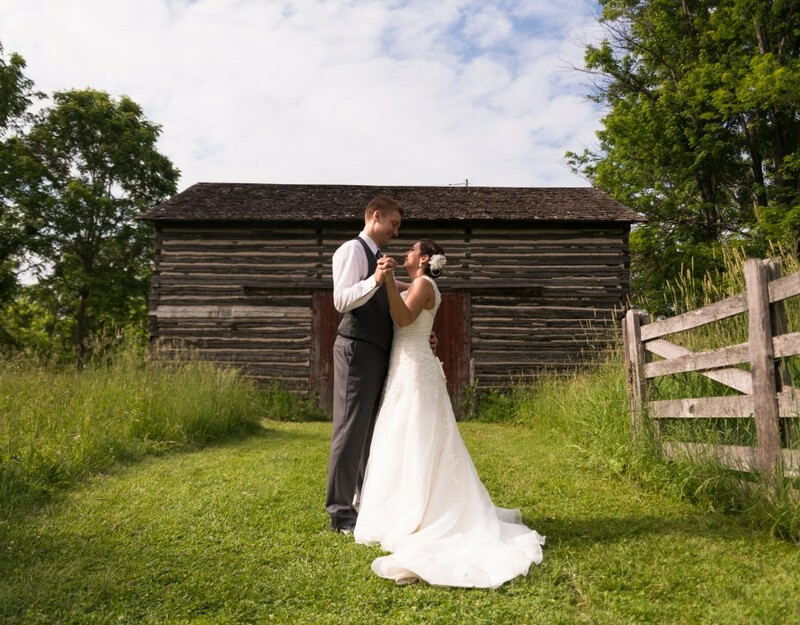 Weddings: Weddings at Caradoc Sands are amazing because everything from your wedding ceremony to photo locations to the cocktail hour and wedding reception are all in one place, saving you time and money. Caradoc Sands’ staff are professional and can assist you in your wedding planning needs from start to finish. Having a wedding at a golf course is becoming more and more appealing to couples as all aspects of your wedding are held at one location. Guys love it because it allows the groom to golf in the morning with his groomsmen, friends and family. On top of all this, (weather permitting) you are able to have an outdoor ceremony. At Caradoc Sands that means your own outdoor waterfall with the beautiful golf course in the background. When the ceremony is over you and your wedding party will be escorted onto Caradoc Sands’ golf course for some breathtaking photos and scenery.